Traditional solar systems provide you with free electricity during daylight hours, up to the maximum amount of kilowatts that your system generates – any unused electricity however is then sent back to the grid. With a solar battery storage system in place, you can store any unused electricity that you generate throughout the day. This enables you to power your home for free even after the sun goes down, and ensures that you can use all of the electricity that you generate. Without solar battery storage, you’re sending electricity to the grid that you’ll be buying back later at a higher cost! With the price of solar materials having dropped significantly over the last financial quarter, owning a solar installation with a solar battery storage system is now more affordable than ever. If you have an existing installation and are interested in the benefits that a solar battery storage system brings, we can retrofit batteries to most existing systems. If you’re thinking of purchasing a new solar system for your property, it would be well worth considering the extra benefits that battery storage can bring – especially if your peak electricity usage is in the mornings and evenings. Solargen Energy Ltd can now offer solar battery storage on new and existing installations to help you maximise the returns on your investment and further reduce your electricity bills. Generate Now – Use Later! If you are interested in finding out how solar battery storage can reduce your bills and improve the returns on your investment, simply book a survey with one of our engineers so we can assess the suitability of your home. We will then provide you with a detailed and personalised estimate of the financial benefits for your and your family. 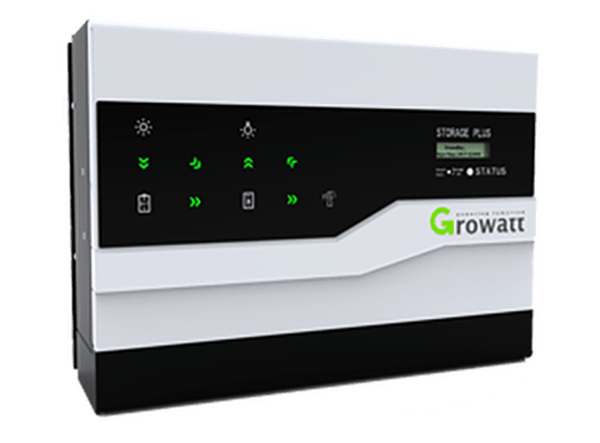 The battery storage system that we recommend is the Growatt SP2000. You can download datasheets and factsheets for the system below to find out more!